Grammarly corrects over 250 grammatical mistakes, while also catching contextual spelling errors and poor vocabulary usage. 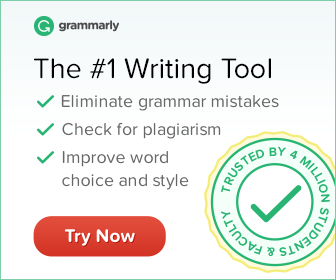 Grammarly’s plagiarism checker crosschecks your text against over 8 billion web pages, detecting plagiarized passages and highlighting sections that have been previously published elsewhere. A program that helps writers write it right?